Cat, the company behind those big yellow diggers, also makes super tough smartphones, and this week has unveiled its latest handset, the B15Q. 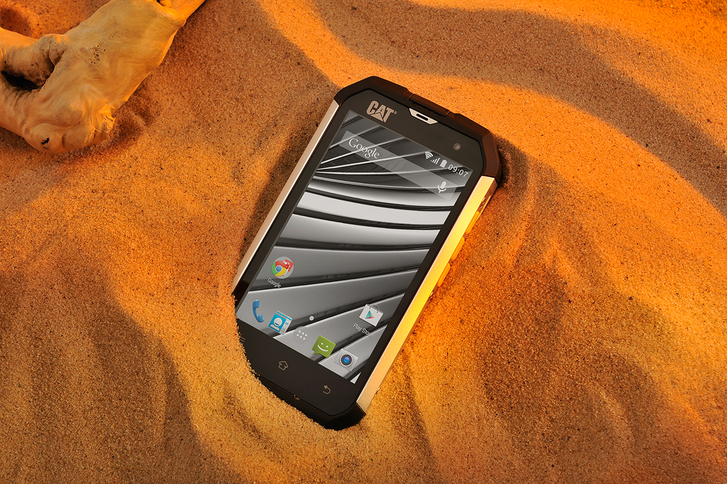 According to Cat, the B15Q is the world’s first rugged smartphone running on Android’s latest operating system, KitKat 4.4. It’s packing a faster quad core processor than its predecessor, the B15, will last a whole 19 days on standby now it has a 2000mAh removable battery, has better connectivity (Bluetooth v 4.0) and an LED Flash added to the HD camera. But what makes Cat’s latest iteration of its tough flagship handset stand out is it’s one tough cookie, the B15Q is waterproof and can be held under water for 30 minutes, dustproof, heatproof up to 55°C and will survive a 1.8m drop straight onto concrete. Now admittedly it’s not your average handset, and its tough credentials mean it’d be wasted on a regular user. However, if you’re thinking of going travelling and need a smartphone that’s going to withstand the elements and not cost you an absolute fortune then the B15Q might be ideal. The B15Q will be available in the UK from July for £299.